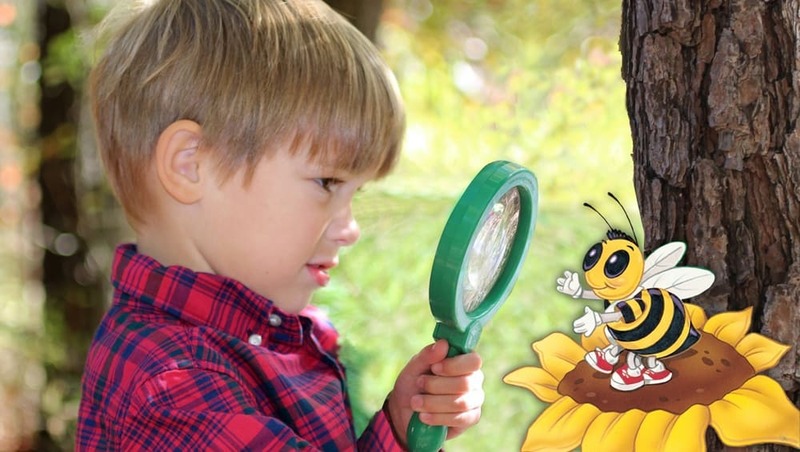 The InvestiGator Club builds upon children’s natural curiosity about the world and their place in it. “Purposeful inquiry” awakens the scientist and explorer in every child. Children learn to use their senses, ask questions, and find answers in a supportive, print-rich environment. Children learn what we teach them. Children’s learning begins at home. Observe and look closely; sort and organize materials; ask questions. Try it and try again. Predict and hypothesize; experiment, test, and explore to test ideas and predictions. Apply the information to a larger experience. Children use all of their senses to learn about their world – seeing, touching, smelling, listening, and tasting. Promoting inquiry and discovery allows children to take the lead and use all of their special energies for learning. In doing so, children develop a healthy self-esteem and begin to understand all the important contributions they make each day as they learn and grow. Everyone loves a good story, and that is where this yearlong curriculum begins – with a story. A group of delightful characters, the InvestiGators, have formed a club to solve mysteries, tackle tough problems, and investigate their world. An early introduction to reading and telling stories develops a child’s love of books and simultaneously fosters an endearing relationship between the storyteller, the child, and the story characters. Through story, a conversation between the child and the characters begins. Stories open new worlds to children by providing gateways to exciting characters, settings, and experiences. Through stories, children are transported to the forest or inside a special clubhouse. They can join a character on an adventure, learn how to build something, or discover how something works. Story-sharing offers opportunities for children to express their thoughts and feelings about the situation in the story and relate it to their own life situations. When children are involved in the experience and become part of the story, the possibilities are endless. Active participation by children as they help tell the story. Prediction opportunities with instant feedback. Just as children have questions about themselves and their world, so do the characters in The InvestiGator Club. The characters appear in lots of different places, including in the Flapboards® and in their own lapbooks and alphabet book. As children tell and retell stories about the characters, they come to know and care about them. Children will quickly relate to the important life lessons that the characters explore all year long: Don’t give up, believe in yourself, look out for friends. With all the surprises around the corner and mysteries to solve, it’s good to have the comfort and security of old friends! Talk about and practice important social-emotional skills, such as sharing, taking turns, and patience. Recall details about story settings and characters to comprehend new stories. Use prior knowledge to make predictions and solve problems. Find common ground between the InvestiGators’ world and their own.